Road transport in the EU: Are we going in the right direction? 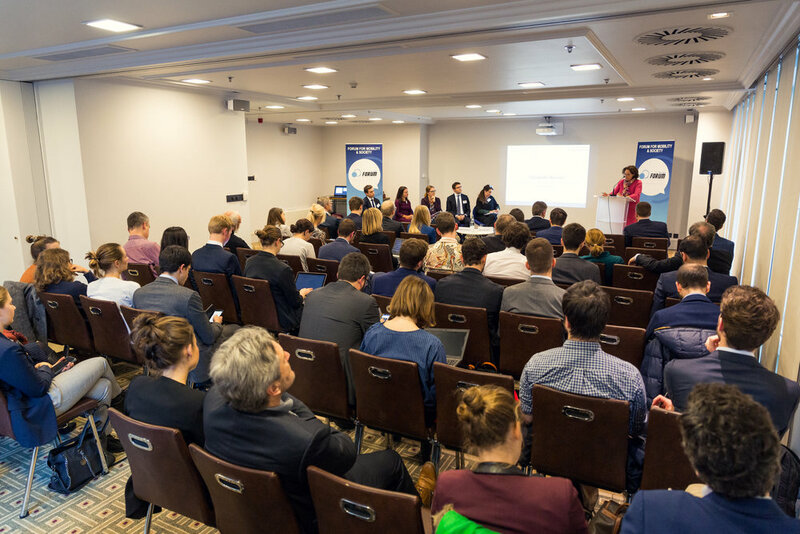 Brussels, 20 March 2019 – EU decision-makers and stakeholders gathered to discuss whether the EU is going in the right direction on road transport and what actions needs to be taken by the European Institutions to improve mobility. The event took place just over a month before the European Elections and included speeches from MEPs (and co-chairs of the Forum) Dominique Riquet (RO, ALDE), Adina-Ioana Valean (RO, ALDE) and Bernd Lange (DE, S&D). All the MEPs recognised many of the benefits of existing EU policy but also highlighted a number of ongoing challenges such as connectivity and automation that will require further efforts in the next EU term. The event also included speeches from Elisabeth Werner, Director of Land Transport at DG MOVE of the European Commission and from Mircea Ionescu, Land Transport Attaché for the Romanian Presidency of the Council of the EU. Ms. Werner said that the Commission has delivered on a number of issues over the past five years but agreed that further actions are necessary. Mr. Ionescu mentioned some of the ongoing legislative files and highlighted that the Romanian Presidency is keen to move ahead on many of the dossiers such as the General Vehicle Safety Regulation. A panel debate involved Chris Carroll from FIA Region I, Julia Poliscanova from Transport & Environment, Ellen Townsend from ETSC, Radu Colonescu from Goodyear Europe and Sigrid de Vries from CLEPA. The stakeholders discussed several key issues including EU policy in the areas of innovation, research, e-mobility and the functioning of the European institutions. 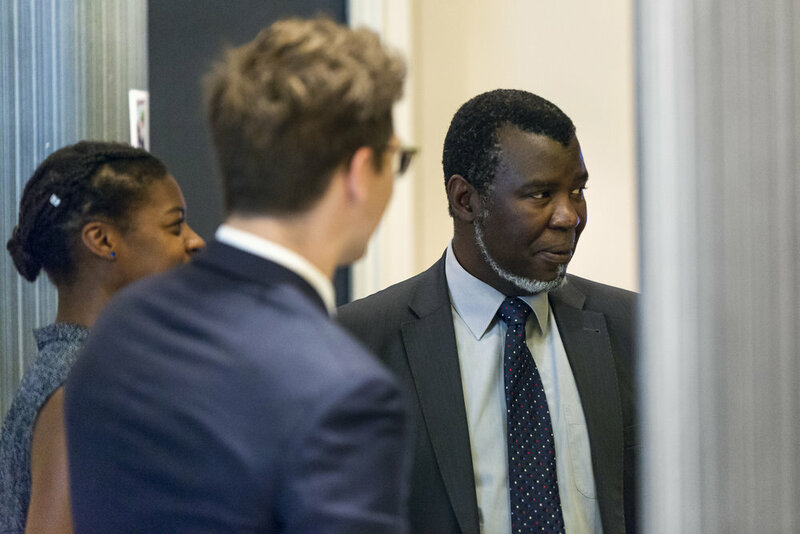 The event took place at the Renaissance Brussels Hotel and attracted the attention of key decision-makers, industry representatives and civil society organisations. Urban access restrictions: The way ahead or the wrong response for urban mobility? 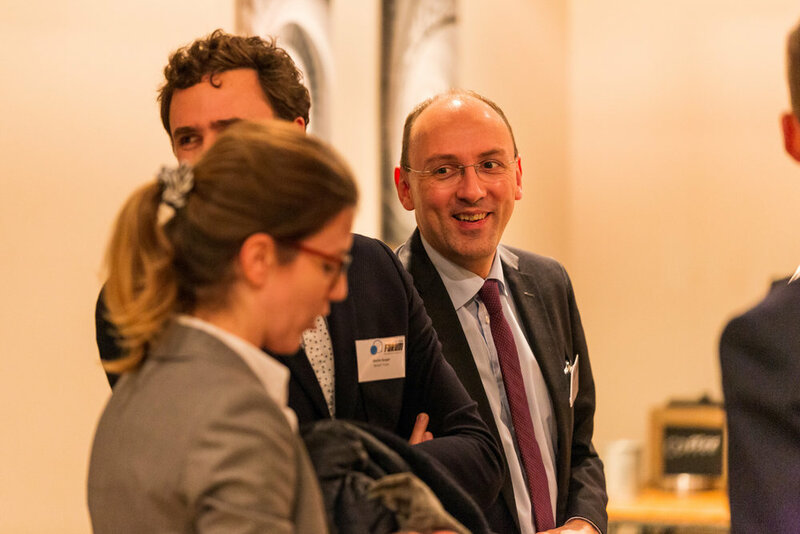 Brussels, 30 January 2019 – Stakeholders and decision-makers taking part in the FMS breakfast event on Urban Vehicle Access Restrictions discussed the key issues at stake and debated the future of such schemes in Europe. The event was kindly hosted by MEP Ulrike Müller at the European Parliament. 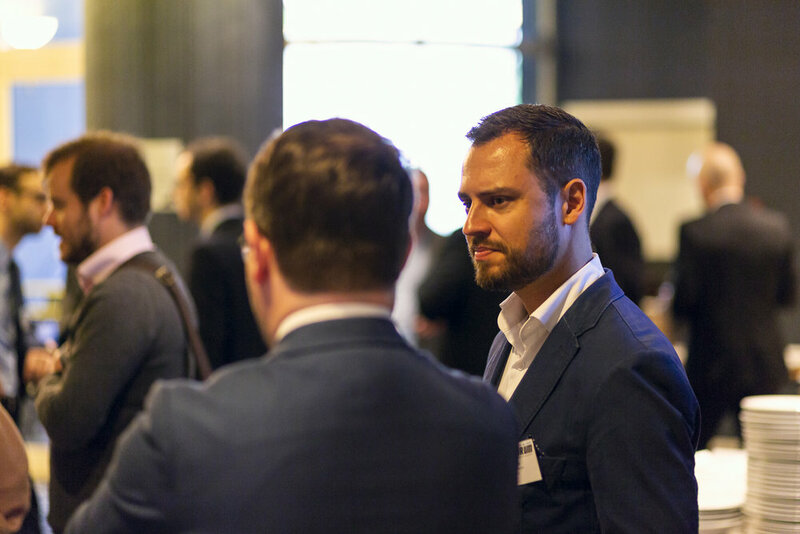 The breakfast debate took place under the backdrop of an ever-increasing number of European cities introducing urban access restriction schemes. Such policies are developed by local and regional authorities aiming at reducing traffic congestion or improving air quality. However, many argue that such measures implemented across the EU have created a series of challenges for local authorities, businesses and users. 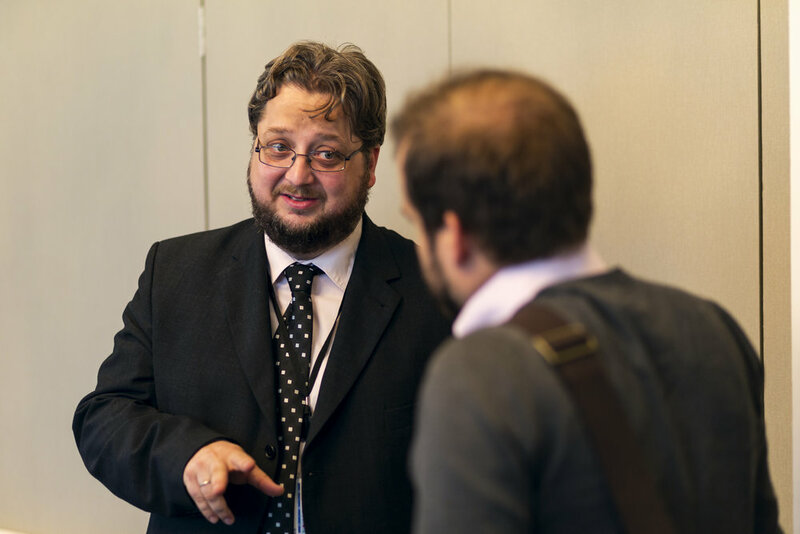 Ivo Cré, Director of Policy and Projects at Polis, gave the keynote speech introducing the reasons to implement UVARs and the various forms in which UVARs can be implemented. He also emphasised the benefits of a soft policy approach and concluded by encouraging cooperation and communication between authorities and vehicle users. A panel debate followed including involvement of Jens Müller from Transport & Environment, Raluca Marian speaking on behalf of the International Road Union, Johannes Fischer from the Ministry of Transport at the Representation of the State of Baden-Württemberg to the EU and Mike Pinckaers from ANWB. The speakers agreed that it is crucial to provide citizens with correct and complete information on future regulation before such regulation is enforced. The panellists expressed contrasting views on whether cities overall already possess the technology and infrastructure necessary to implement UVARs, while it was generally agreed upon the preference of incentives over bans. Finally, it was mentioned that cities are responsible for the enforcement of UVAR, but there is a strong need for national regulation and a proper framework to support them. In her concluding remarks, Isabelle Vandoorne announced that UVARs are a focus topic of the evaluation of the Urban Mobility Package. Additionally, the Commission is also drafting non-binding Guidelines to better coordinate the policies, especially the need for further information and transparency about UVARs. 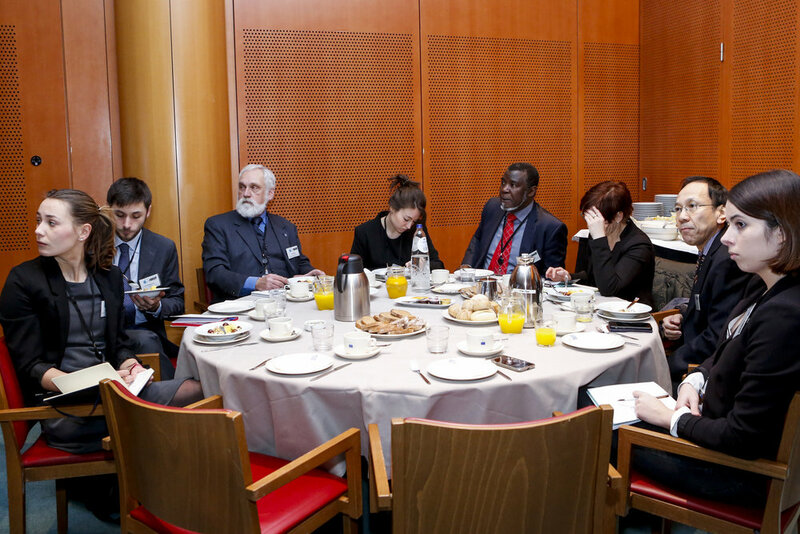 The breakfast debate attracted the participation of MEPs, Commission officials, regional authority representatives, actors from the industry and civil society organisations. On 6 December 2018, decision makers and stakeholders debated in Brussels the adequate timeframe of the implementation and the right level of ambition of the proposed legislation to regulate CO2 emissions from commercial vehicles. The event, organised by the Forum for Mobility & Society, took place a few months after the European Commission came forward with a proposal to reduce CO2 emissions from heavy-duty vehicles as part of its “’Europe on the Move” legislative package. Matthias Maedge, IRU General Delegate Permanent Delegation to the EU, gave the keynote speech highlighting that a cross-sectoral approach is needed in order to tackle decarbonisation of commercial vehicles in a cost-effective way. Mr Maedge also called for emission standards adequately balancing feasibility and level of ambition. 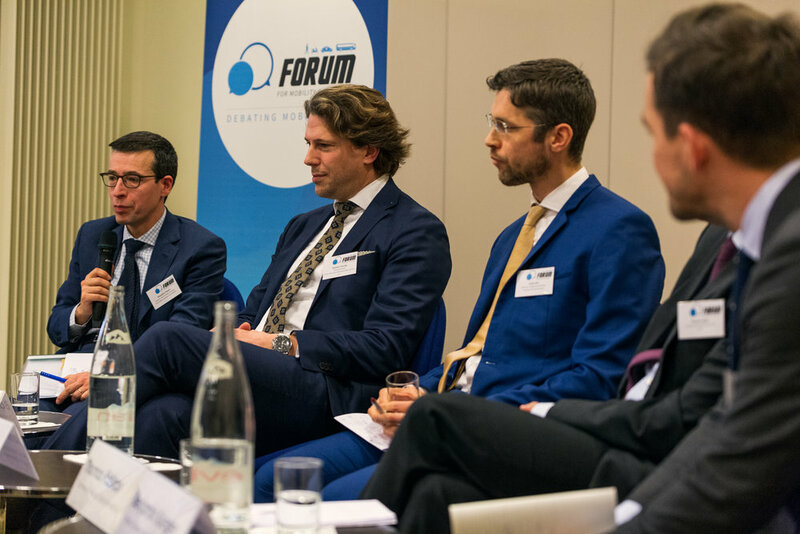 A panel debate followed with Alexandre Paquot speaking on behalf of DG CLIMA, Bastiaan Hassing from the Dutch Permanent Representation to the EU, James Nix from Transport & Environment, Thomas Fabian from ACEA and Benjamin Krieger from CLEPA. All speakers agreed that action on the matter is required from all sectors, especially to safeguard clean mobility. 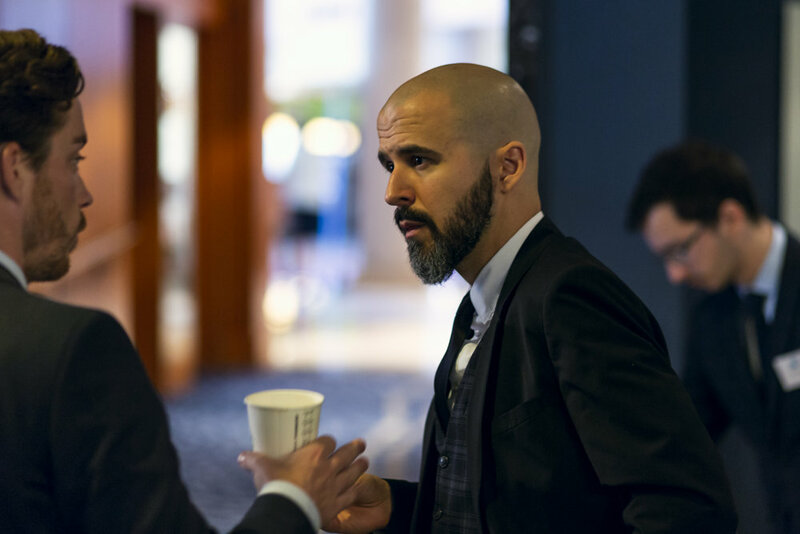 In the Council, despite having a lot of disagreement between Member States on the target’s level of ambition and the different incentive methods, there is an overall willingness to quickly reach an agreement. In his concluding remarks, Shinichiro Oka, Director General at JAMA Europe, invited stakeholders to continue discussing the topic, while keeping in mind balanced CO2 emission reduction targets, and having an environmental performance as the ultimate objective. 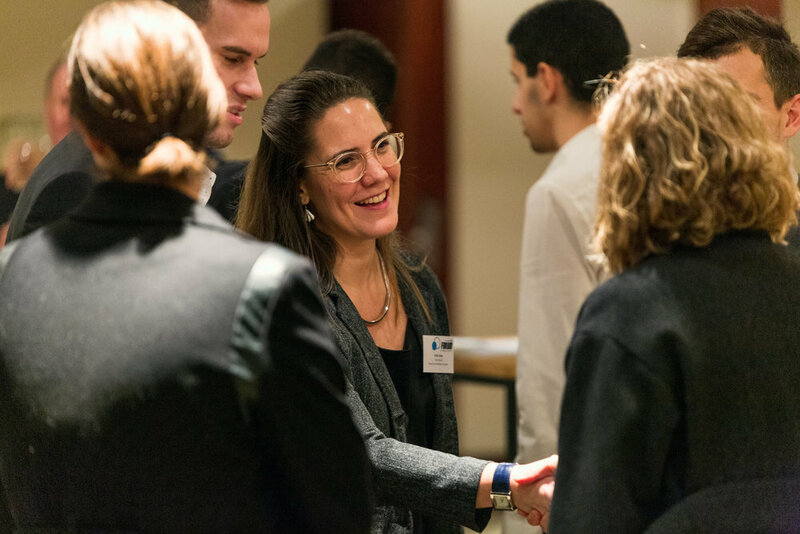 The panel event, which was followed by a Christmas Cocktail Reception, took place at the Renaissance Brussels Hotel and attracted the attention of key decision-makers, industry representatives and civil society organisations. 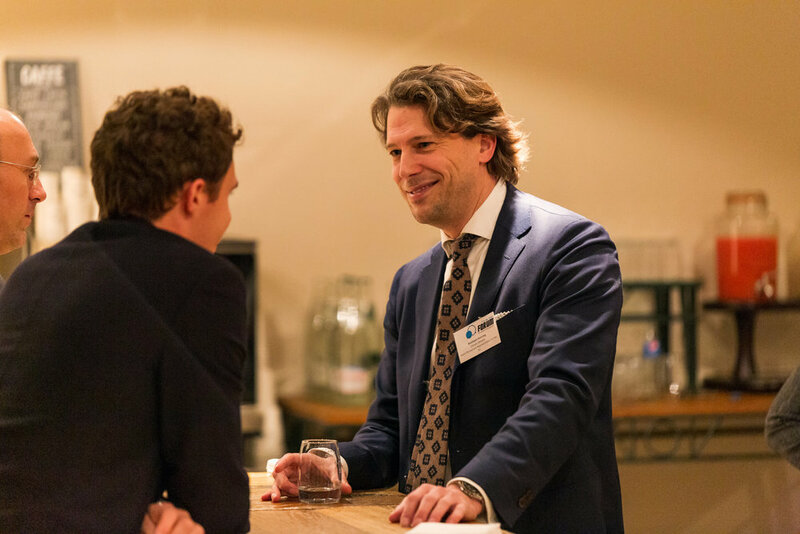 Breakfast event: Connected and Automated Driving: Is Europe going in the right direction? 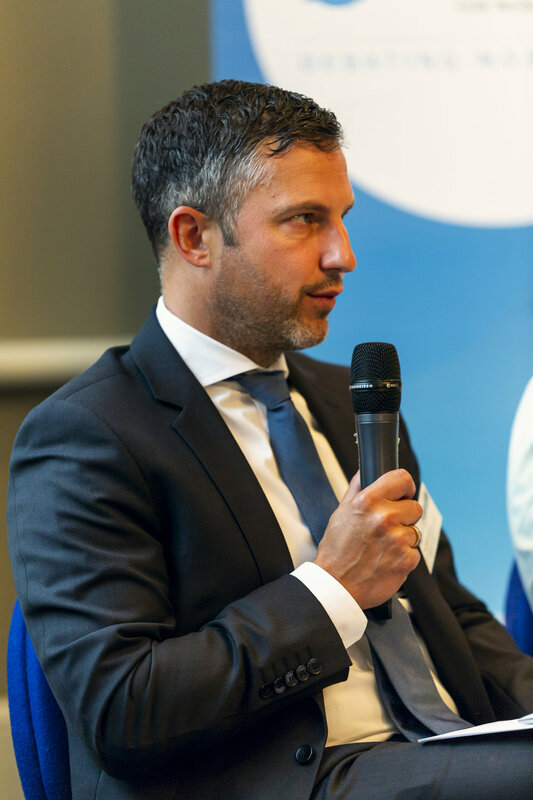 Brussels, 19 June 2018 – Stakeholders taking part in the FMS breakfast event on connected and automated mobility highlighted that although Europe is on the right course, there is a need to address certain topics in order to build consumer trust and give industry certainty in this rapidly evolving field. 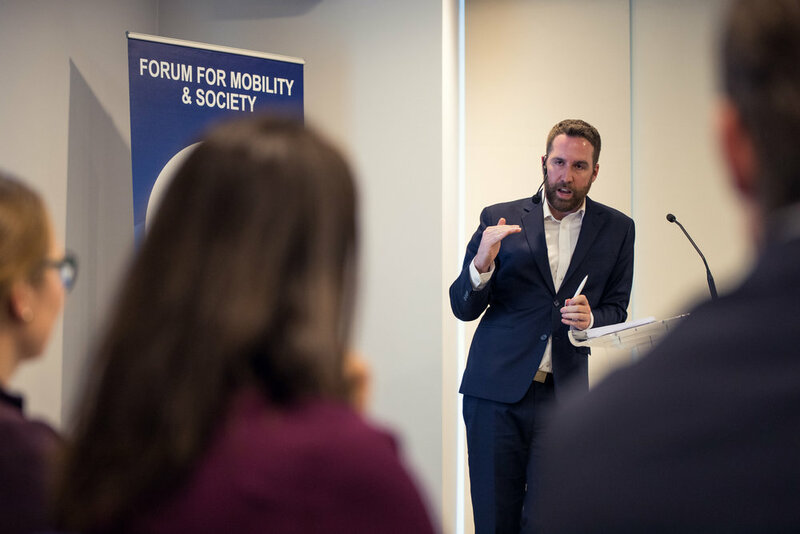 The event took place just over one month after the European Commission published its Communication ‘On the road to automated mobility: An EU strategy for mobility of the future’, part of the last ‘Europe on the Move legislative package’. Earlier this year, the European Parliament also issued recommendations for the deployment of C-ITS, touching on key areas such as consumer information, support for research and data issues. Opening the event, Member of the European Parliament Henna Virkkunen spoke about the difficulties and circumstances in the near future in the areas of cybersecurity, liability, skills, data protection and road safety. The MEP highlighted the need for a clear regulatory framework to guarantee fair competition and innovation. Despina Spanou, Director for Digital Society, Trust & Cybersecurity at the European Commission, gave a keynote speech touching on the importance of establishing trust and security for the adequate use of technologies in transport. She said the Commission will publish a Recommendation by the end of 2018 to tackle the issues of cybersecurity, access to data and connectivity. A panel debate followed and included Antony Lagrange speaking on behalf of DG GROW, Johanna Tzanidaki from ERTICO, Fazilet Cinaralp from ETRMA and Maik Böres from the BMW Group. The participants agreed that Europe is in the right direction with regards to connected and automated mobility. However, the panellists shared concerns about the degrees of regulation, cybersecurity threats, the lack of standardisation for in-vehicle interfaces, the use of road safety technologies to lead the path to automation, and the role of 5G technology for vehicle connectivity. In his concluding remarks, MEP István Ujhelyi highlighted the importance of continuing to discuss and debate the key issues surrounding connected and automated cars and the need for a robust legal framework to support developments in these areas. In the TRAN Committee, the MEP is expected to act as shadow rapporteur of the own-initiative report from the Parliament in response to the European Commission’s Communication. 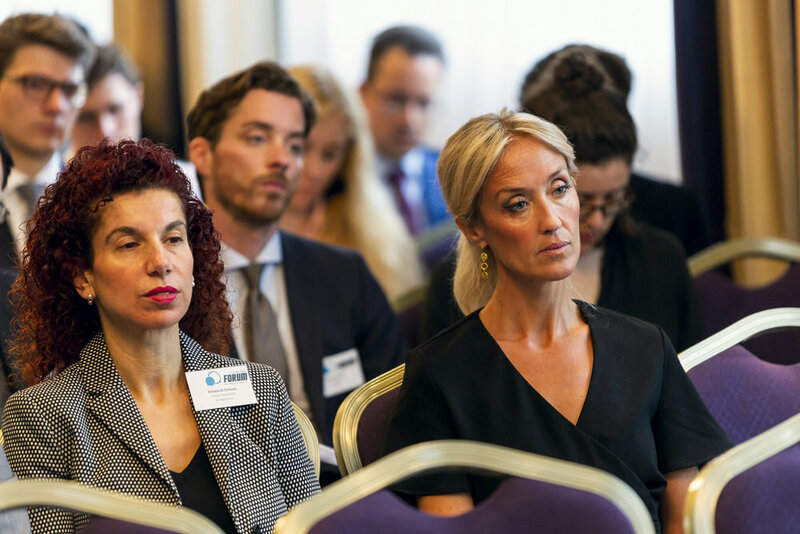 The breakfast debate took place at the Renaissance Brussels Hotel and attracted the attention of key decision-makers, industry representatives and civil society organisations. The discussions focused on identifying if Europe is on the right track to support the digitalisation of transport and foster automation. Breakfast event: Saving lives on Europe’s roads: What can a reform to the General Safety Regulation offer? In advance of the European Commission’s review of the General Safety Regulation (GSR) the Commission, MEPs and stakeholders debated which advanced vehicle safety technologies should be made standard on 11 April 2018 in the European Parliament. 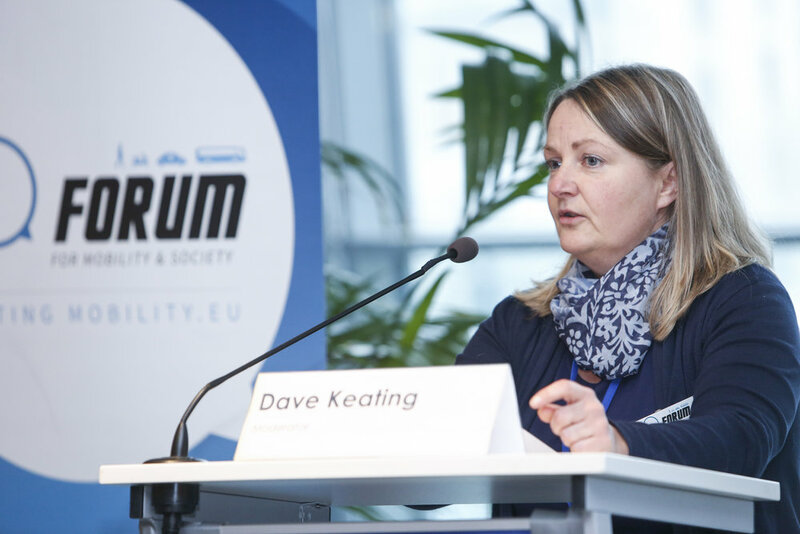 The debate was hosted by MEP Deirdre Clune (IRL, EPP) and counted with the presentations from European Commission, Euro NCAP, BMW, FIA Region I and CLEPA. The presentation is available here for download. With the ongoing negotiations of the United Kingdom's withdrawal from the European Union, MEP Bernd Lange and the Forum for Mobility & Society would like to invite you for a cocktail debate on the different implications to the transport sector. 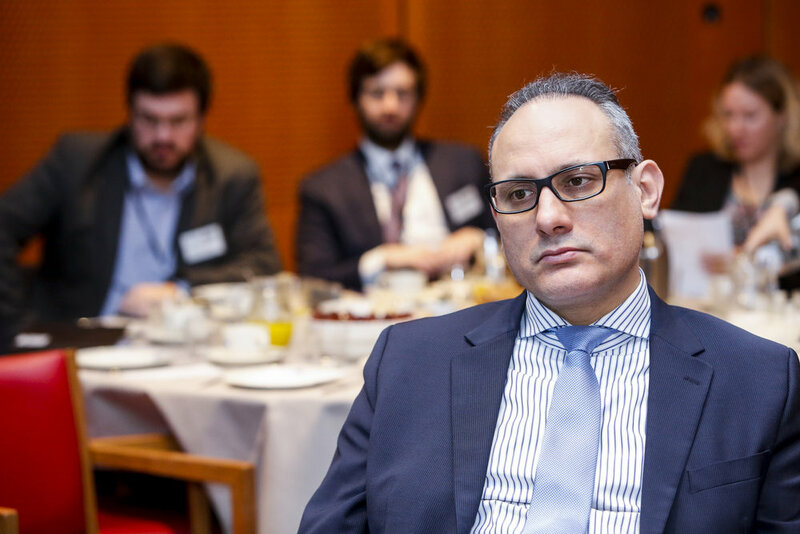 Breakfast debate on "Road Charging"
On 31 May 2017, the European Commission released its Mobility Package, which includes the revision of the Eurovignette Directive. Highlighting 'clean, competitive and connected' mobility, the Commission proposes, for instance, to charge passenger cars and vans in the same way as heavy-duty vehicles, apply distance-based charging, introduce congestion charges and phase out the so-called 'vignette' schemes. 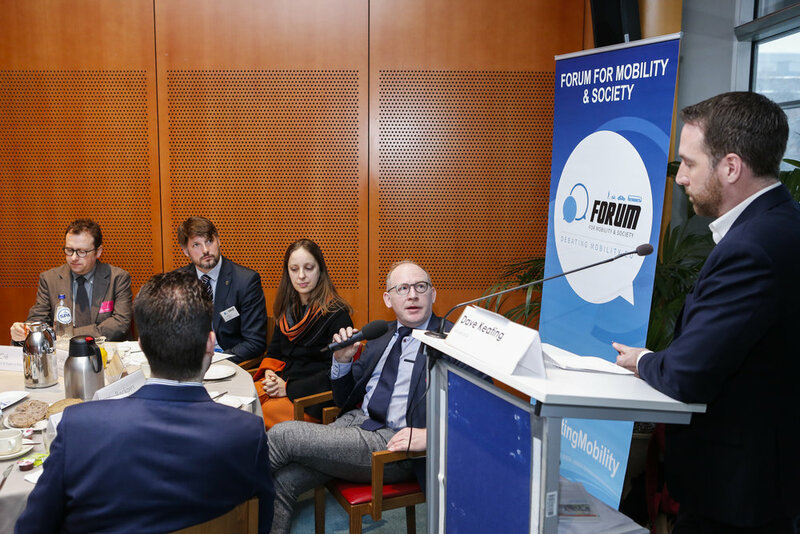 In the light of this event, the Forum for Mobility & Society will organise a breakfast debate, hosted by MEP Claudia Schmidt, in the European Parliament. Topics to be discussed will encompass mobility costs, modernising of the European road network or charging for externalities. In the context of the Commission's strategy on low-emission mobility and the revision of the Regulation 333/2014/EC, following the dieselgate, the Forum for Mobility & Society would like to discuss the issues of vehicle CO2 emissions. You are cordially invited to take part in the event and to contribute to finding a solution in reducing the CO2 emissions. "Together for safer roads in Europe"
Ahead of the EU High-Level Conference on road safety that will take place in March 2017, the Forum for Mobility & Society would like to discuss possible measures, actions and commitments which could help to increase the safety of European roads. You are cordially invited to take part in the debate and give your input so that together we make European roads safer. 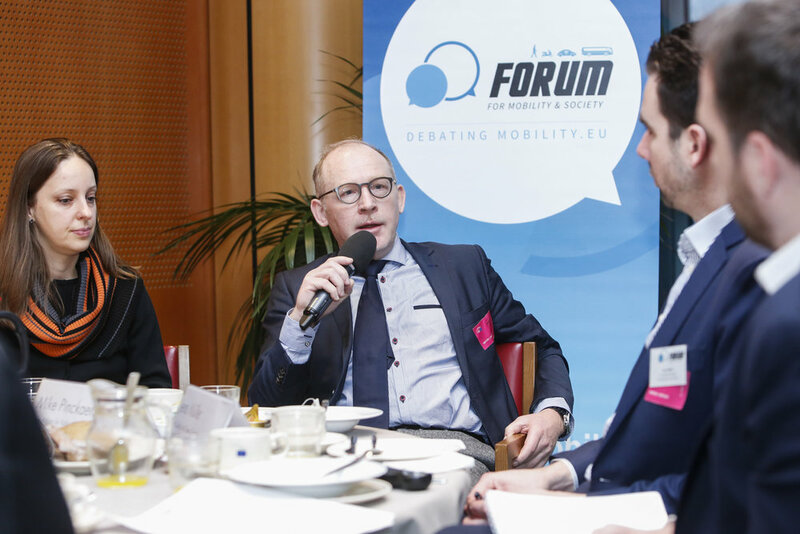 MEP Schaldemose and the Forum for Mobility and Society are pleased to invite you to a debate on Mobility as a Service (MaaS). MaaS is a distribution model in which people’s transportation needs are met over one interface and are offered by a single service provider regrouping multiple transport solutions. Panellists will explore how to create a European market for mobility roaming and the deployment of MaaS. On 15 March, MEPs Adina-Ioana Vălean (EPP, RO) and Henna Virkkunen (EPP, FI) hosted a Forum for Mobility and Society lunch debate on “ITS, Connected Mobility, and the Data Economy”. 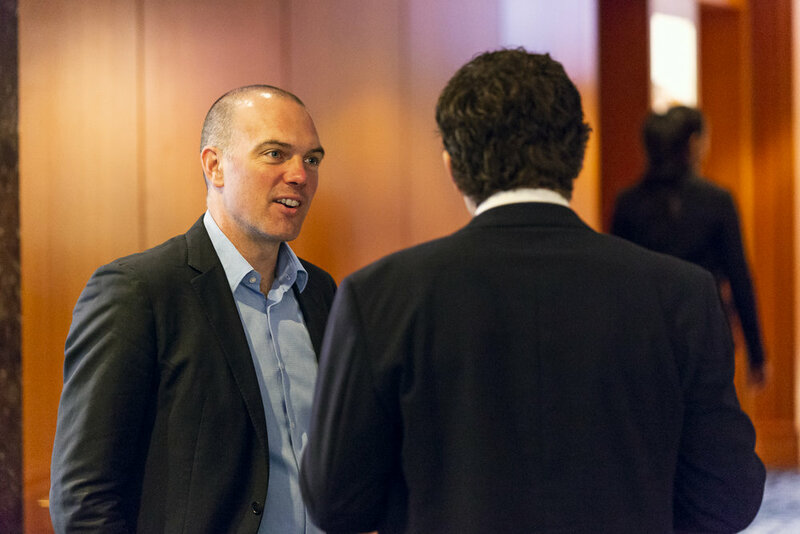 The event gathered 120 stakeholders from the automotive, mobile, and IT industries as well as consumer representatives and regulators to discuss vehicle data, which will be at the heart of new mobility models and Intelligent Transport System (ITS) deployment. On 10 December, Elzbieta Bienkowska, European Commissioner for Industry, took a ride in a fully autonomous car at a Forum for Mobility and Society event designed to highlight the role that driverless cars could play in enabling safer and more efficient mobility, while also addressing challenges posed by this new technology. On 2 June 2015, top EU policymakers endorsed the sharing economy as a positive disruptive force in the EU. MEP Michael Cramer, Chairman of the European Parliament Transport & Tourism Committee, as well as Nikolaus von Peter, representing the European Commissioner for Transport’s cabinet, discussed with representatives from industry and NGOs about the societal impacts of the sharing economy, as well as possible options for regulation on the matter. 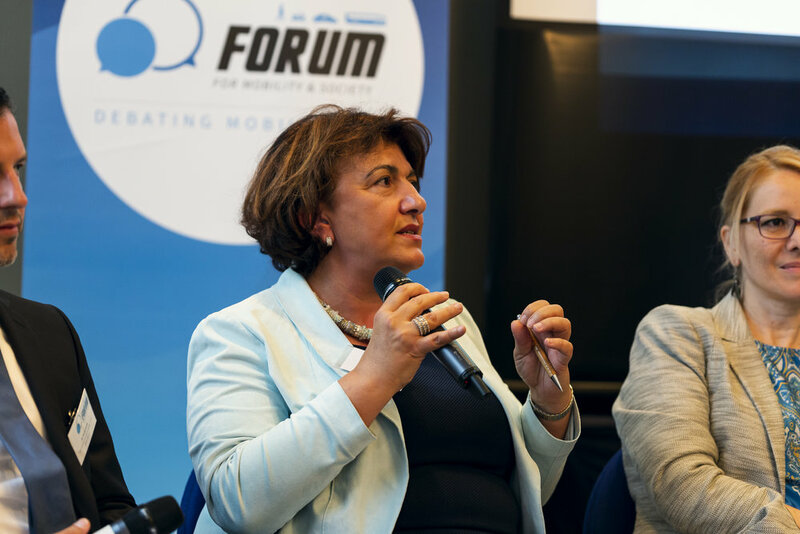 On 15 April 2015, Vice-President of the European Parliament Adina-Ioana Vălean hosted a lunch debate organised by the Forum for Mobility and Society. The lunch featured guest speakers Carlo Pettinelli, Director for Sustainable Growth and EU 2020 of DG GROWTH of the European Commission, Steve Newsome, Head of EU and International Affairs of Transport for London, and Antonio Perlot, Secretary-General of ACEM, the trade representative of motorcycle manufacturers. Also present were Members of Parliament Adam Gierek and Merja Kyllönen. 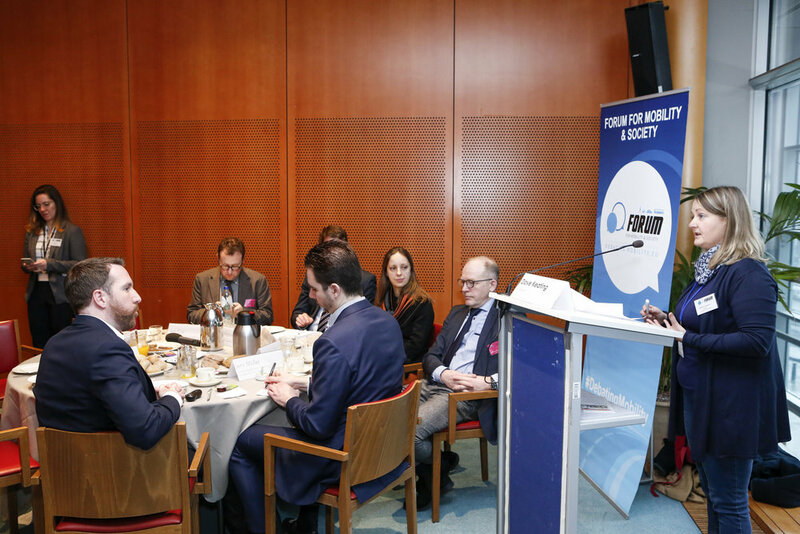 On 26 February, MEP Inés Ayala Sender (S&D, ES), member of the Transport Committee, hosted a breakfast debate on road safety and infrastructure. At the event, high level decision-makers and stakeholders exchanged views on the safety of Europe's road network and how to achieve the best possible safety standards in a way that makes economic and financial sense. 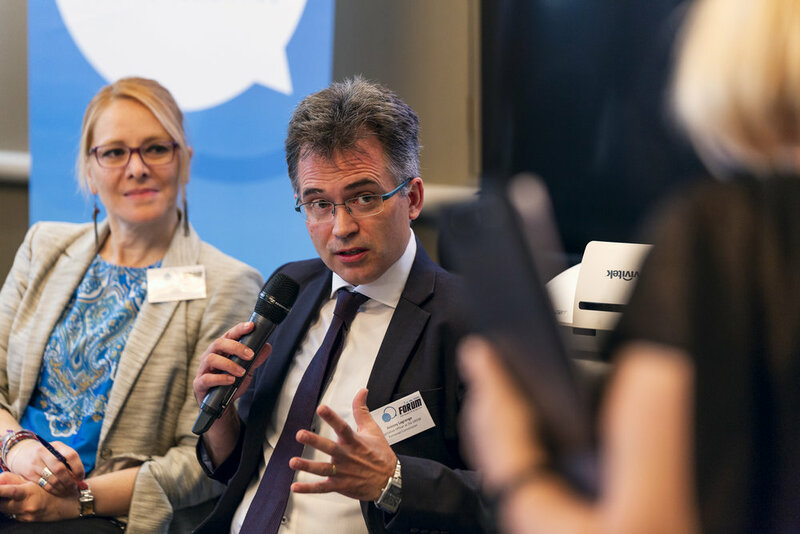 At the breakfast, additional speakers included Szabolcs Schmidt, Head of Road Safety Unit, European Commission; Nicole van Nes, Project Leader, SWOV and Stephen Stacey, Chairman, EuroRAP.